Working in manufacturing is no longer only about acquiring new customers and more inventory. It’s about increasing the effectiveness of your supply chain through your channels. But, what happens when one of those channels goes down for a day or two? Maybe even a week? Across every industry — and especially manufacturing — risk must be measured. Studies have found that 74% of companies have suffered from a supply-chain disruption, with 14% losing more than $1 million as a result. For automotive manufacturers, unplanned downtime could cost $361 per minute. This is where Disaster Recovery (“DR”) and Business Continuity Planning (“BCP”) comes into play. 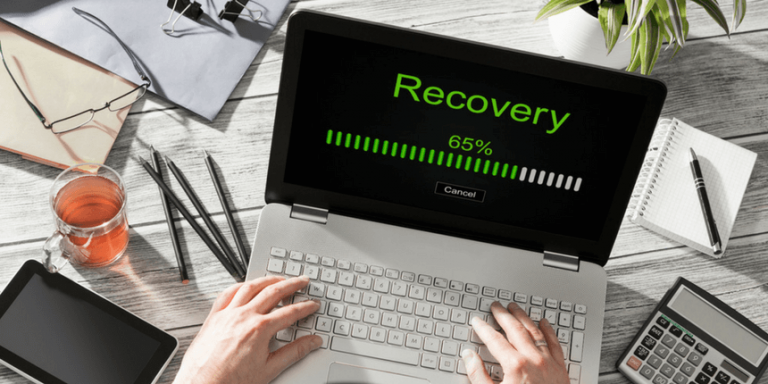 A disaster recovery plan helps you minimize the effects that a major event may have on your business. We make it easy to add this disaster recovery plan to your daily work routine. 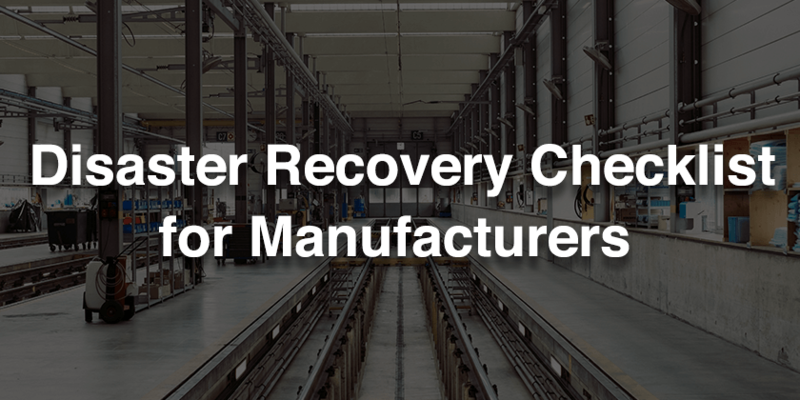 Here’s how and why you need to create a disaster recovery plan for your manufacturing business. 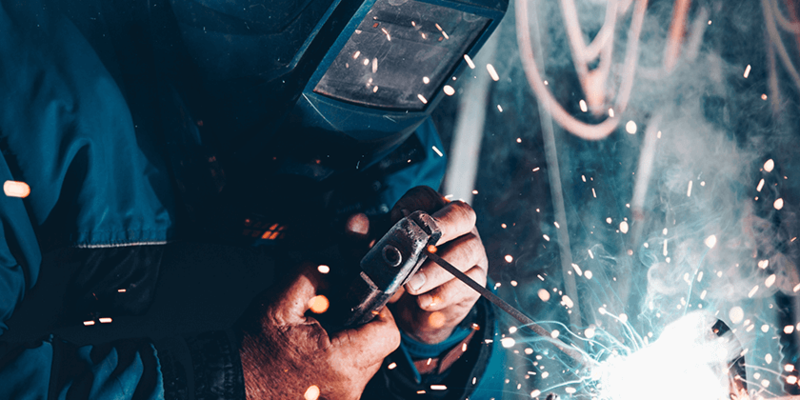 The manufacturing sector remains a vital element to the American economy, contributing more than $2 trillion to the GDP each year. With such a sizable portion of the country depending on jobs, goods and services created by this industry, being blind-sided by a widespread issue could be catastrophic. Despite the fact that many business owners believe insurance and other measures to be sufficient enough to help with disaster recovery, this couldn’t be further from the case. 87% of businesses that lose access to corporate data for more than seven days tend to go out of business within the year. Moreover, up to 80% of companies suffering from contingency issues without a plan go into liquidation within 18 months. 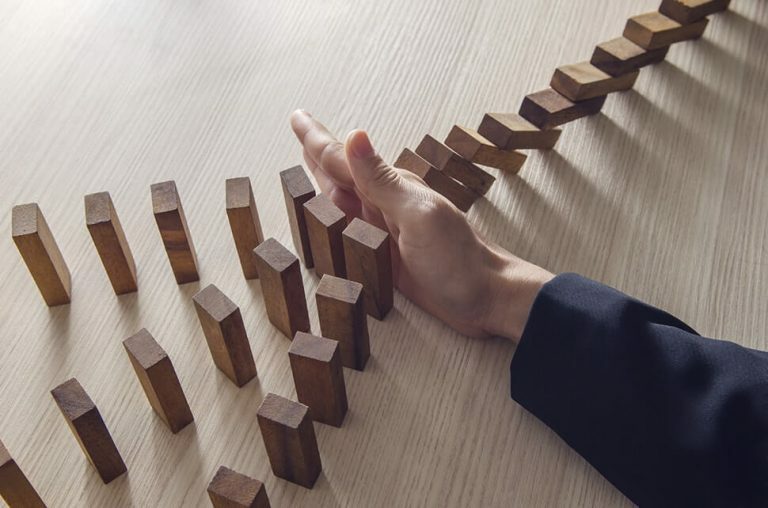 Without a plan for business continuity, your business will suffer immensely and immediately and may also continue to experience diversity for the life of the business. Creating the best disaster recovery plan for your manufacturing business requires patience and deep understanding of how you operate. But you also need to know where to look for company information. From there, you can build a disaster recovery plan adapted to business rather than the other way around. 1. Define your goals of a disaster recovery plan. Audit your current facilities for inventory, possible backup plans, and essentials needed to maintain business. This audit will help your pre-plan the migration steps needed for you and your suppliers. 2. Choose a third-party to manage the plan. If you can’t rely on an internal employee, choose a third-party IT company to implement your disaster recovery plan. We recommend finding an IT company with 24/7 technical and customer support. In your plan, you’ll want to develop a strategy for communicating to employees of the issue. Create multiple scenarios to map your communication process. If the server goes down, you may not be able to email employees. It’s best to have alternatives prepared. To help minimize the impact, make sure your inventory management is up-to-date. If you have inventory in one location, you may want to consider readjusting locations if that one location goes down. If you’re not already in the cloud, you’ll want to move to the cloud. A hybrid cloud backup solution is ideal for maintaining optimizal business continuity. It offers both private and public models at an affordable price point. If you’re using a third-party IT service company, make sure they provide proof of the backup. Whether your data is off-site or local, you’ll want to manage bandwidth for great flexibility and higher transfer speeds to get you up and running faster. If you have multiple data centers, make sure the data is removed locally with a secure copy off-site that can be backed up. Being down for hours just isn’t an option in the manufacturing industry. With local virtualization, you have the opportunity to reboot locally in a matter of minutes. 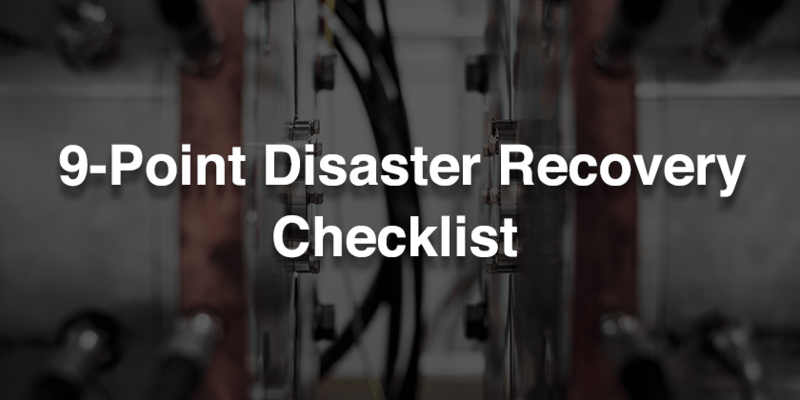 Create a list of each item, staff, and tool you need to keep your business running after a disaster. With this list in hand, you can develop contingency plans. Maintain current records of your disaster recovery plan with dates of backups schedules and procedures for every possible worst-case scenario. The primary purpose of disaster recovery for any business is to maintain continuity of business. Although, the average business is not concerned with matters affecting continuity, waiting until a security breach of some sort occurs could be the worst mistake you have ever made. Given that, 30% of businesses that experience a major disaster is closed within a year, while 70% fail within five years, maintaining a business free of unnecessary downtime is vital to the success and longevity of your business. Your business could lose a sizable amount of money and customers in a short period. The best way to retain customers and acquire new ones is by remaining reliable and accessible as much as possible. Focusing on disaster recovery now can save your business later. No matter which company you choose to spearhead your disaster recovery efforts, be sure it is a reputable company you can trust. Your business depends on it.